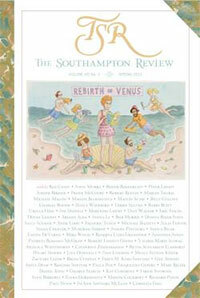 Lou Ann Walker is founding Editor-in-Chief of the award-winning TSR: The Southampton Review, a literary and arts journal that features works by emerging artists alongside those of established artists and writers. Contributors to TSR have included: Roger Rosenblatt, Billy Collins, Meg Wolitzer, Bharati Mukherjee, Jules Feiffer, Frank McCourt, Roz Chast, Barry Blitt, Patricia Marx, David Rakoff, Helen Simonson, Elena Gorokhova, Ursula Hegi, Robert Wrigley, Julie Sheehan, Robert Reeves, Susan Scarf Merrell, Colum McCann, Gahan Wilson and Garry Trudeau. Works that originally appeared in TSR have been selected for Best American Poetry and have received Pushcart Prize nominations, among other awards. As Director of Publishing at Stony Brook Southampton, Walker also oversees TSR Editions, focusing on artists’ books and fine arts prints. 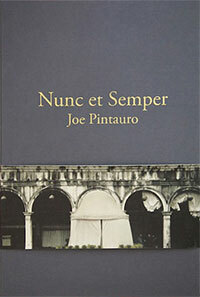 The 2013 inaugural artist book, Nunc et Semper (Now and Forever), was created by photographer, playwright and novelist Joe Pintauro. Now in the editing process: TSR Books, concentrating on the craft of writing.